It is, therefore, very important to understand which razors would be ideal for you. 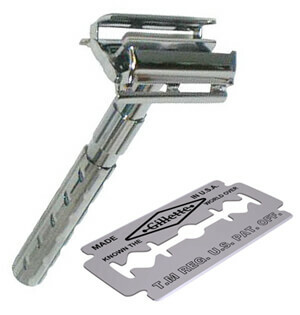 A safety razor (or single blade razor)is an instrument that is used for shaving. It features a guard that glides smoothly along the skin in order to reduce your exposure to the razor blade. In 1904, it was mass produced to help people shave safely at home without having to go to a barber. 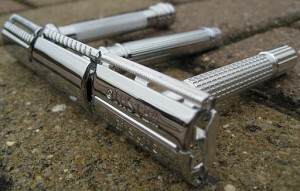 Safety razors come in three designs: a one-piece design, a two-piece design, and a three-piece design. Cost – If you’re accustomed to using a razor with disposable cartridges, you can cut down on the costs by switching over to a safety razor. A quality safety razor along with a pack of blades will cost around the same as a single disposable cartridge. 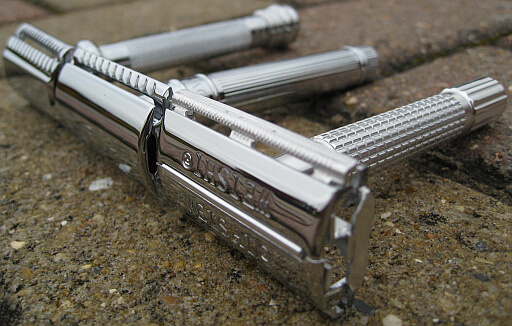 Better Shave – There is no doubt that a safety razor gives a better shave. This is due to numerous reasons. Firstly, the blades cost so low, that you won’t hesitate in replacing the blade if it gets even slightly dull. Who can deny that a sharp blade gives the best shave? The second reason is that because of their safety features, you will be less likely to cut yourself or get any razor burns. Better for Skin – You will be exerting less pressure on the skin of your face while using a safety razor. This means that there will be far less skin irritation issues. Those people who have switched to a safety razor admit that they experience much less razor burn, breakouts or ingrown hair. No Clogs – Today’s multi-grade cartridge razors choke even on just a few days’ growths of hair. It can get quite inconvenient when you have to unclog the razor cartridge several times during a single shave. Safety razors only have a single blade; therefore clogging is almost unheard of. So you have decided to try out a safety razor, good choice! The first thing when choosing a safety razor is to look at the size and weight of the razor. You should find the best safety razor that is not too heavy at the top, and the handle is not out of balance in any way. You should also check that it is comfortable to hold. The next thing you need to look at is that the blade should have equal exposure on each of the sides of the cutting head; also, the distance between the blade and safety bar should be equal all along. Safety single blade razors are simple, yet effective, and once you have chosen the right blade for yourself, you’ll be having the best shaves of your life! And yes, for event better shaving you should have a good shaving brush as well as pre-shave and after-shave cosmetics. What are your thoughts about this, guys? Mister Shaver would like to hear them. What type of shaving equipment do you prefer?